Do you have a plumbing problem in your home or business? Are you looking for a trustworthy plumber in Greece, NY to take on a remodel or a building project? At G. T. Campbell, we have plumbers standing by, waiting to help you out. We know that you need your home to function well, so we are available for you when you need us. When you call a plumber in Greece NY, you’re calling someone who not only knows their trade and has experience troubleshooting issues and solving complex problems, but you also have someone who cares about you. We strive to treat your home and family as if they were our very own. We will help you make good decisions about what needs to be done, and we’ll also work hard to keep your home neat and clean. We offer comprehensive plumbing services in Greece, NY. No problem is too big or too small for us to fix, and no remodel or new build is too intimidating. We have experience doing everything from drain repairs to sewer replacements, so we feel confident we can solve all of your plumbing problems. Here are just a few of the things we do regularly, organized by room. We fix leaks; repair spraying faucets; replace shower heads; install sinks, tubs, toilets, and showers; repipe; install fixtures and pipes for remodels; install newly designed bathrooms from the ground up; repair and replace toilets. We repair and replace garbage disposals, handle leaky sinks or malfunctioning faucets, install pipes and water lines for refrigerators, diagnose and repair dishwasher drain issues. We diagnose and repair all sorts of sewer problems, inspect sewer lines with a camera, offer trenchless sewer repair technology, and work with the city to solve ongoing sewer issues. We also install water filtration systems, water conditioning systems, work on sump pumps, repair broken or burst pipes, fix septic tank problems, clean and empty septic tanks, and more. No matter your problem, call us at G. T. Campbell today. Our friendly phone representatives will answer any questions you have and find a time for a plumber to come to you. Our plumbers always arrive on time, so you don’t have to worry about being stuck at home waiting for yours to show up. Once the Greece, NY plumber is at your home, he or she will listen to you describe the problem. Your plumber will wear protective footwear and anything else necessary to keep your house neat and clean. When the plumber has a solid understand of what you’ve experienced, he or she will examine the problem. The plumber will determine the cause, and also what needs to be done to fix it. Your plumber will present you with comprehensive information on the repair before they start. Once you agree, though, your plumber will get started. 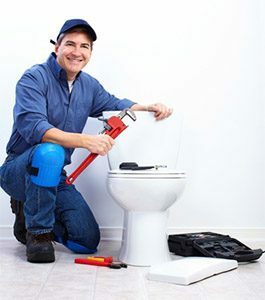 Our plumbers work quickly and efficiently, so you never have to be without functioning plumbing for very long.